Rahane scored 70 and added 87 runs in a crucial partnership with Pujara. 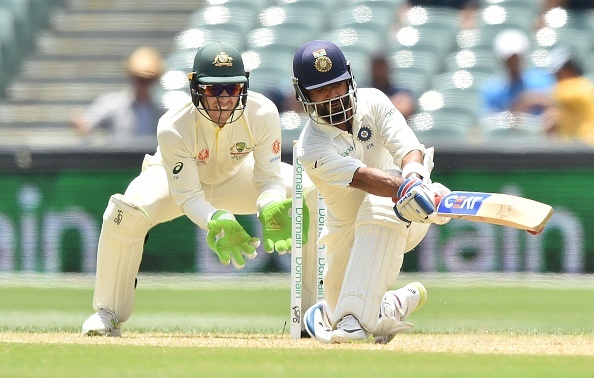 Ajinkya Rahane's form has been a concern in recent times, as the Indian Test vice-captain has been unable to register big scores and perform at the level that he is expected to after his great run of form on India's overseas tours in 2014. 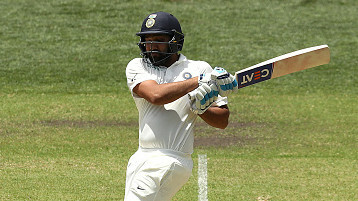 However, things are beginning to look brighter for the Mumbaikar as he looked back in good touch en route to important innings of 70 which helped India set a target of 323 for Australia. He was involved in a crucial stand of 87 runs with Cheteshwar Pujara who followed up his 123 in the first innings with 71. India's bowlers struck early and maintained the great discipline to pick up four key wickets before the close of play on Day 4, with the hosts still needing 219 more runs to win on the final day on a pitch that is getting tougher with each session. Reflecting on his innings after the day's play, Rahane said, "Feels really nice when you contribute for the team. As a batsman, you have to learn from your mistakes each and every time and keep improving as a batsman,"
Talking about the match situation, he added, "We bowled really well and in great areas but still a long way to go tomorrow. We'll have to come hard at Australia and I think we need to keep the same patience and the same line and lengths,"
Rahane was then asked about the bat he is using in this series, which carries the signature of former Indian captain Rahul Dravid. It's no secret that Rahane looks upto the great Indian batsman and the duo have previously shared the dressing room at Rajasthan Royals in IPL. "He is my role model and when we went to play with India A in New Zealand I just took his autograph. I follow him as a cricketer and also as a person," he concluded.